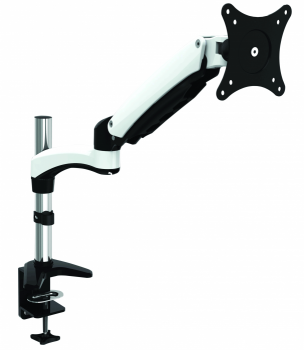 Hydra1 is an Articulating Single-Head Monitor Mount. Sleek and modern design combined with durable real-world ergonomic engineering makes up the DNA of the Hydra. Have Hydra work for you to help reduce strain and stress by having your display at the right position customized for you.Work more effectively by freeing-up your valuable desk space. Dynamically rotate and pivot screens when working on different tasks or sharing your display with others.